If you know me at all (or have visited my blog), you will know that my latest works of writing are touched by 16th century England. The pictured quote is by one of my favorite heroines, Queen Elizabeth I... a patron of Shakespeare, and a woman of strength and perseverance. 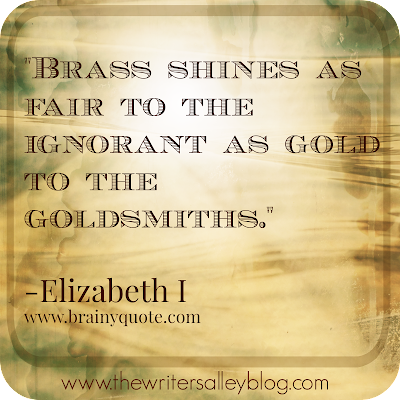 "Brass shines as fair to the ignorant as gold to the goldsmiths." Even though she inspires me to write historical AND contemporary fiction these days, this quote of hers fits perfectly in what I wanted to share on the Alley today. When I was fresh out of college, I assumed I was going to rock the world of Landscape Architecture. I mean, I had so much to offer a firm out there. They were going to continually have their "socks knocked off" by my brilliant ideas and hard work ethic. I poopoo'd everything I saw that was a non-Angie Dicken and was sure that I had all the answers and the perfect design. I was the gold that they needed to shine. Needless to say, I was pretty full of myself back then, and it took a-a-a lot of miserable work days to realize that I might have had in mind a better design or a great idea (which I most likely only had a bunch of brass), and yet...NOBODY CARED TO HEAR IT...ACTUALLY, I WASN'T EVEN ASKED! What I WAS asked, was "fix this mistake on so and so's drawing", "add dimensions to this other person's design", "count the shrubs in this suburban neighborhood entrance"...etc. Busy work, boring work, tiddly widdly stuff that needed to be done and I had spent five whole years in college to do it. Pfft. I was just polishing someone else's gold. 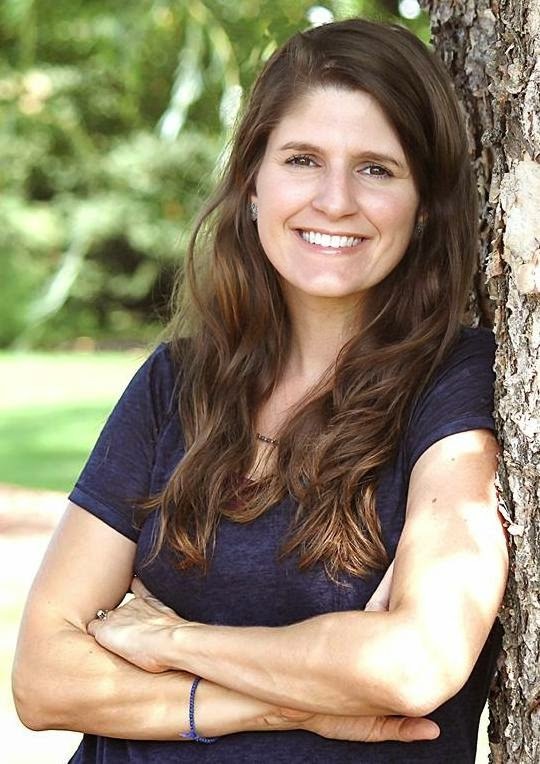 Fast forward a little more than a decade...Now, I look back on these past ten years as an aspiring author and I *think* I might have entered the passion with them same mind set as my conceited college educated rookie to the workforce (wince). I expected the quick and easy road to the sought- after publication. I mean, I had a vanity press offering to print my first ever manuscript...THANK GOD I was too poor to take them up on it. It was NOT worth even editing! Talk about brass. But I thought I was something. I just assumed that my bright idea needed to be read by everyone out there and that everyone would want to side with me to get the story into reader's hands. Wow. I can't believe the evolution my writing has taken. I would never ask a publisher to look at something I wrote five years ago, let alone ten. That's just ridiculous. There is a reason that a rookie needs to prove themselves, isn't there? The learning curve is huge and beautifully refining. Brass is no longer fair to me. I've seen the gold flecks as the refining fire continues to strengthen my writing. I only lasted two years as a Landscape Architect-in-training. I just couldn't see the point of spending endless hours doing busy work for designs I wasn't passionate about. BUT, if I had been as passionate about the craft of design as I am about the craft of storytelling, then today I'd probably be sending off my own blueprints for amazing urban projects or beautiful city parks. If I had that passion and didn't settle for brass. As a writer, I have learned that there is so much too learn, and I can't quit because I am not published or acclaimed. The cool thing is, during the process, I've had the chance to come up along side some pretty fantastic authors and be a small part in their journey. And it's okay that I am not there yet. My passion is deep enough to not quit it altogether. Someone might settle for brass. It's tempting, believe me. 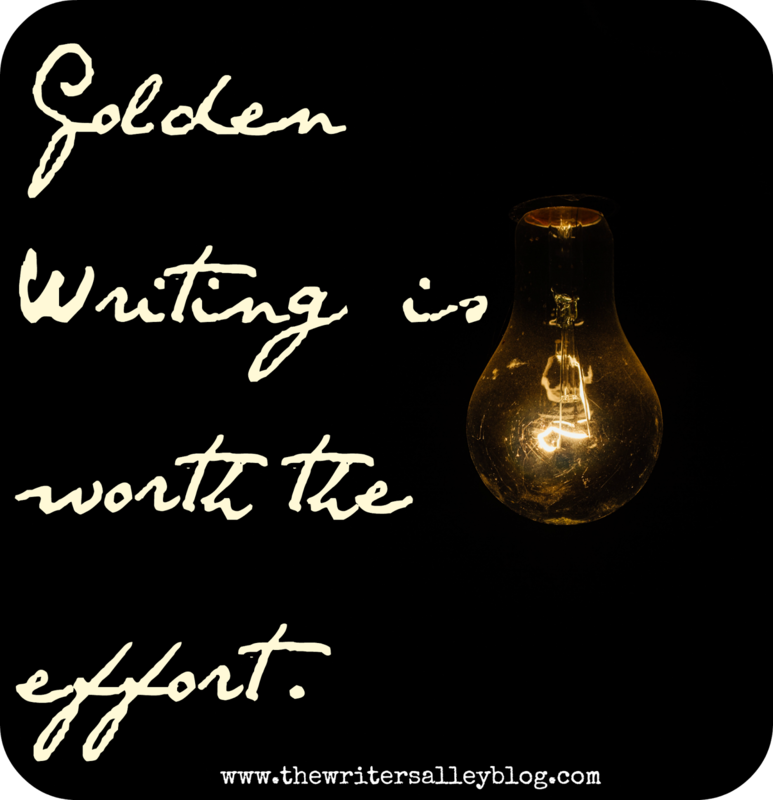 But when it comes to my writing, I want gold. I want it to shine and not come up short. Elizabeth I's reign is considered England's Golden Age. It was a time of flourish and growing knowledge. Perfect inspiration for my perfectly "me" passion. 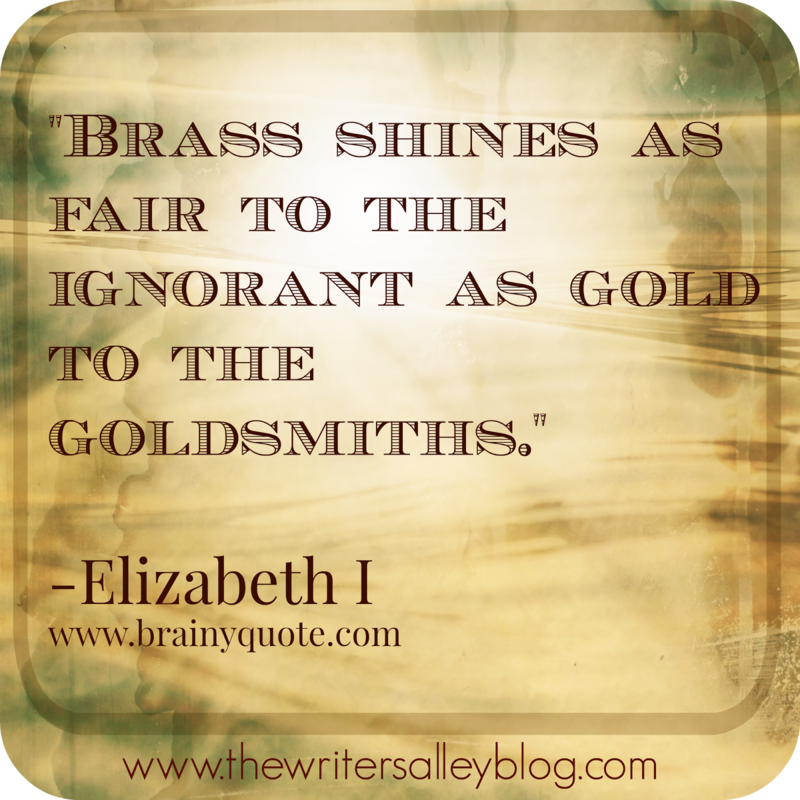 Brass is for the ignorant, no need for a goldsmith. I am willing to continue and learn, and become a skilled smith of golden writing. Angie, you are right and I find this truer than ever as I pursue my writing dream and God's plan. I was arrogant when I started out and I blush to remember, but He has refined me and gently made me over, bit by painful bit, to pursue not my dream but His for me. I will not cut any corners, it isn't worth it compared to the joy that awaits. Wow I needed to read this. One big lesson God's knocked me over the head with is humility in the area you speak of--being willing to continue to learn, accept edits and critiques and never settle for brass. There's pain in refining, in the waiting--but we, and our writing, come forth as gold. Thank you for sharing this, Angie. And like you said--it's such a great thing to be able to come alongside other writers/authors in their journey even though we're not quite there yet. Love this!!! I've always loved the refining by fire analogy in the Bible--I think it works well for both our writing AND our life as a whole! Sometimes that gold refinement isn't easy, takes a long time, and HURTS many times. But so worth it! It is easy to be tempted to cut corners, but for me, it usually ends in disaster. I am so glad you are growing! Thanks for commenting! Humility is truly golden, isn't it? It makes us think beyond ourselves and realize this calling isn't our own. But oh, it's a hurtful process! Thanks for sharing! Such great analogies all over God's word for so much of what we experience in life! I love discovering more and more!